Harbet loves his comfy knitted hat, but the others keep making fun of him. Harbet decides to upgrade his hat to the latest and greatest, but he just can’t keep up with the fads and trends. As soon as he gets a new hat, the others already deem it to be an… old hat! Harbet only discovers true happiness when he stops following others and starts embracing the things that make him unique. Old Hat has a wonderful moral of being yourself and celebrating people’s individual styles and differences. This is a particularly important message for children growing up in a world where they are bombarded with materialism, consumerism and fads. The illustrations are quirky and whimsical, almost Dr Seuss-like, and include intricate sketches of all sorts of elaborate and amusing hats. 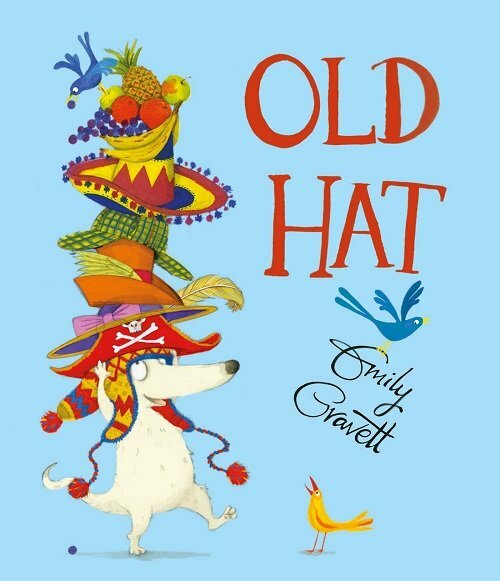 This book is ideal for targeting children’s describing skills as there are endless amounts of outrageous hats to describe. Harbet tries on hats made of fruit, pirate ships and even traffic cones to name a few! As an extension activity, kids can make or draw their own hat creations inspired by some of the examples in the book. The illustrations also provide many visual clues to help children make inferences about the story, particularly about how Harbet feels when the other characters make fun of him. For further speech and language goals to target in Old Hat by Emily Gravett, see the list below.